WASHINGTON (CNS) — The Supreme Court’s June 27 decision to strike down restrictions on Texas abortion clinics is having ripple effects on legislation across the country.. 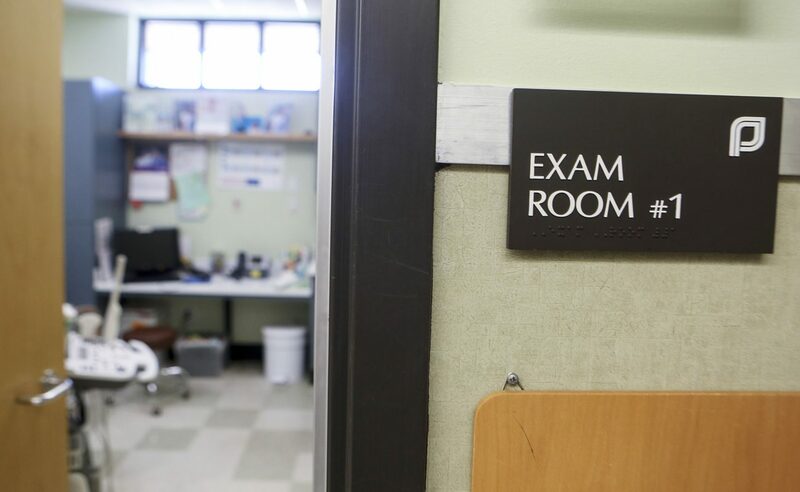 The impact of the ruling — which said Texas abortion clinics do not have to comply with standards of ambulatory surgical centers and their doctors are not required to have admitting privileges at local hospitals — was felt almost immediately. That same day, Alabama’s Attorney General Luther Strange said his office would drop its appeal of a federal district court judge’s 2014 ruling that the state’s admitting-privileges law, similar to the Texas law, unconstitutional. “While I disagree with the high court’s decision, there is no good faith argument that Alabama’s law remains constitutional in light of the Supreme Court ruling,” Strange said in a statement. And the next day, the Supreme Court refused to review court rulings that blocked admitting-privileges requirements at abortion facilities in Mississippi and Wisconsin. Supporters for the Supreme Court’s decision in Whole Woman’s Health v. Hellerstedt — the court’s first ruling on abortion in several years — predicted a swift wave of changes striking down similar restrictions on abortion clinics across the country. Cecile Richards, president of the Planned Parenthood Federation of America, described the court’s ruling as the first step in opening more access to abortion. Carol Tobias, president of National Right to Life, doesn’t see it that way. “The abortion industry wants to set up this mirage that no laws are going to stand and they will try to intimidate or scare pro-life legislators,” she said in a June 30 phone interview from New Mexico. Tobias thinks the pro-life movement will be more invigorated in their fight after the court’s decision. “Pro-lifers are steadfast and determined,” she said, noting that they are accustomed to taking a few steps forward and then some backward, but they will continue to vote for those who promote pro-life legislation. “The court decision was a step backward but it does not change what we’re doing,” she added. She also said pro-life advocates have other issues they are emphasizing such as fetal health legislation that bans abortions at 20 weeks or later based on fetal pain. Tobias said it is worth noting that one part of the Texas law, H.B. 2, that was not challenged was its prohibition on abortions after 20 weeks. Similar legislation has passed in 14 states and she believes other states will follow suit. One such bill recently passed in the Pennsylvania House of Representatives. In the meantime, state Catholic conferences are taking a close look at laws on abortion clinics in their states. Ingrid Delgado, associate for respect life and social concerns with the Florida Conference of Catholic Bishops, said the Florida law for abortion clinics is similar to the Texas law that was struck down but it also has key differences. In Florida, for example, medical directors at state abortion facilities have been required to have either admitting privileges at hospitals or transfer agreements, meaning patients could be treated at local hospitals, which was not part of the Texas legislation. These basic requirements “should survive scrutiny,” said Delgado, meaning Florida’s law shouldn’t be completely struck down. Five states currently require providers of either medication-induced abortion or surgical abortion to have admitting privileges at a local hospital and another 10 require the provider to have either admitting privileges or another type of relationship with a hospital. Florida — like Alabama, Idaho, Indiana and South Dakota — also has legislation taking effect July 1 that limits what can be done with the remains of aborted fetuses. The state also joins Mississippi and Missouri in adopting laws to stop tax dollars from going to Planned Parenthood. An abortion restriction law set to take effect July 1 in Indiana was blocked by a federal judge June 30 saying the state does not have the authority to limit a woman’s reasons for ending a pregnancy. The law would have banned abortions based on genetic abnormalities such as Down syndrome or because of race, gender or ancestry of the fetus. North Dakota is the only other state with such a law in place. The decision against the Indiana law “forbids extending the equal protection of the law to disabled unborn children facing the most lethal form of discrimination,” said Carter Snead, a law professor and director of the Center for Ethics and Culture at the University of Notre Dame. In a June 28 opinion piece for CNN on the court’s Texas decision, Snead said it significantly took away states’ decision-making authority.